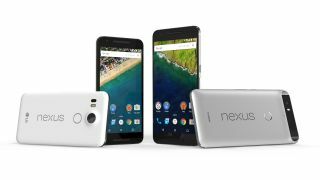 The Nexus Project prides itself on bringing in some of the best phone manufacturers from around the world to create devices for Google's unique program – but 2016 may see that formula undergo a change. A new report suggests instead of the yearly manufacturer switch on the Nexus program, the company will entrust HTC with all handset production for the next few years. The rumor suggests HTC has signed a three-year deal to produce all phones for the Nexus program. Last year Nexus revealed two phones for the first time, and it's thought Google will do the same this year, with different sized devices from HTC. Last year Huawei took on the duties to create the phablet Nexus 6P, while the smaller Nexus 5X went to LG. The deal doesn't mention tablets – something Google has shied away from recently – which could mean the search giant is open to bringing in other OEM's to create new slates. This deal is just hearsay at the moment and the last Nexus device made by HTC was the Nexus 9 tablet, which was released in 2014. What is interesting about the Nexus project is the variety of handsets the program produces from year to year. Unlike manufacturers such as Samsung and Apple, we don't see iterative upgrades each year, as each manufacturer takes Google's brief differently. It may be a bit of a shame to see HTC take on all the duties in the end as it may mean the Nexus project will become a little less interesting from now on. But if the company makes some good phones, it could be worth Google's risk.